Freshman Grant Besse nets hat trick in 9-3 victory over Stillwater. 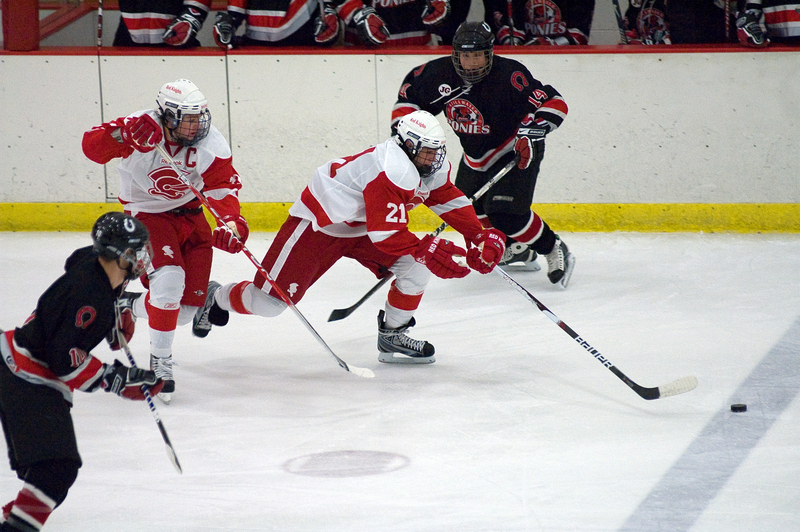 They’ve been teamed up for just two weeks, but Benilde-St. Margaret’s top line of senior Brett Patterson, sophomore Christian Horn and freshman Grant Besse certainly mesh like they’ve spent years on the rink together. 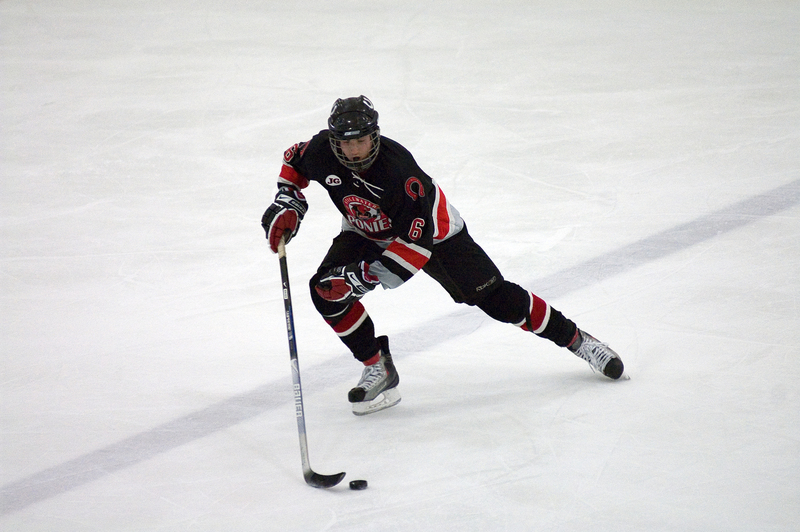 Placed together by coach Ken Pauly during opening practices in late November, the fast-learning trio lit up visiting Stillwater for five goals as the Red Knights rolled to a 9-3 victory Saturday night, Dec. 4, at the St. Louis Park Rec Center. 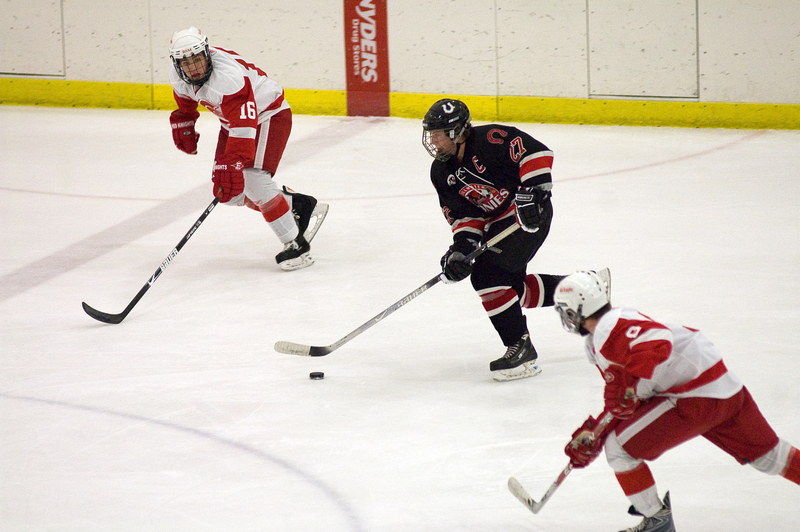 Besse, the precocious freshman who spent last year on the state champion Wayzata Bantam A team, netted a hat trick in just his second varsity game. He scored a goal in each period and also assisted on Jake Horton’s opening goal at the 6:28 mark of the first period. 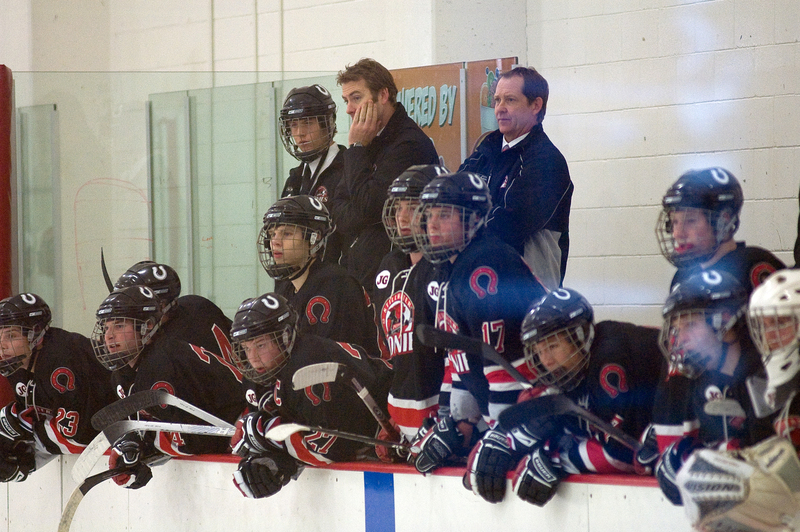 After the game, Besse talked about the adjustment from Bantams to varsity and how much quicker the game feels. 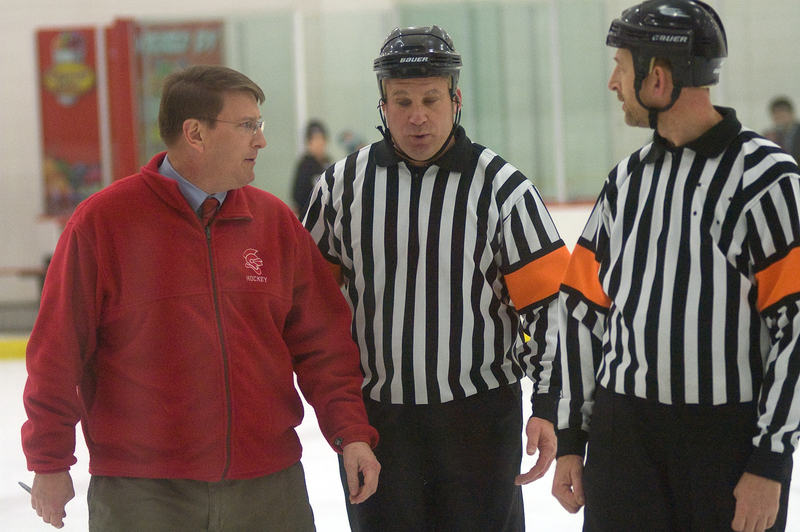 It wasn’t obvious on the ice, where he seemed in a different gear than the Ponies much of the night. 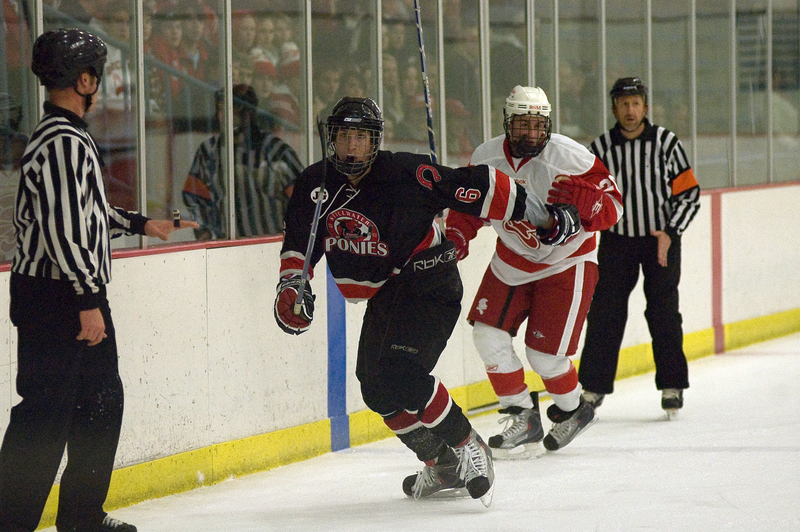 Along with Horn (two goals, one assist) and Patterson (three assists), the Red Knights’ top line dominated puck possession in the offensive zone on the normally defensively stout Ponies. Patterson is the veteran of the group, a big senior who can operate in tight quarters and has good vision for the two sniping youngsters. Horn burst onto the scene last year with a school freshman record 25 goals and has kept up the pace this year. 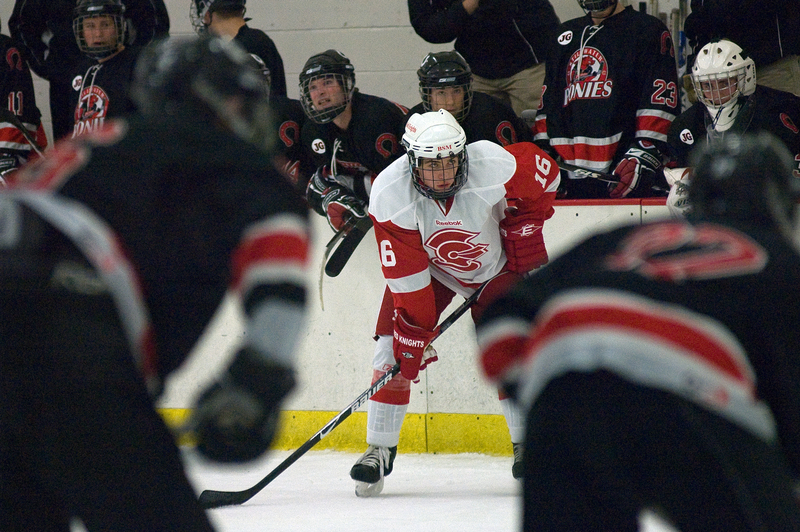 “Clearly, they’re going to be one of the best lines in the state and for us to compete with some of the teams we need to compete with, they’re going to have to be,” Pauly said. 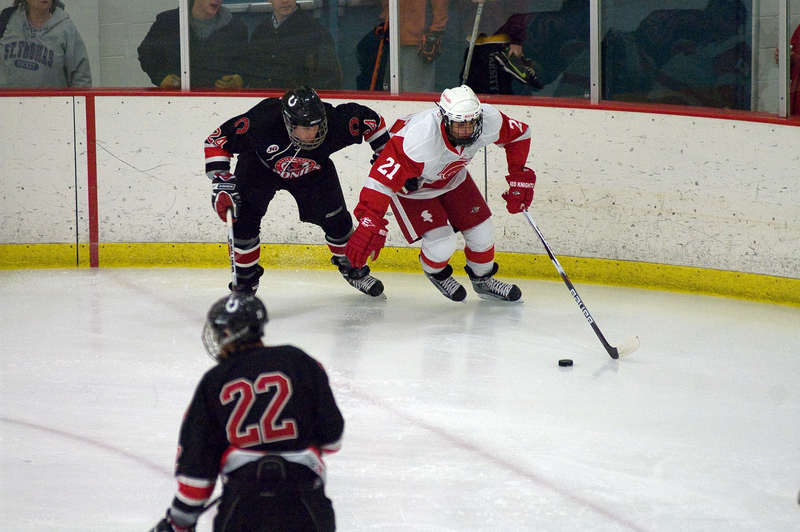 Benilde’s second line of Pat Steinhauser, John Duda and Will Nelson was also dangerous, tallying three goals and three assists. 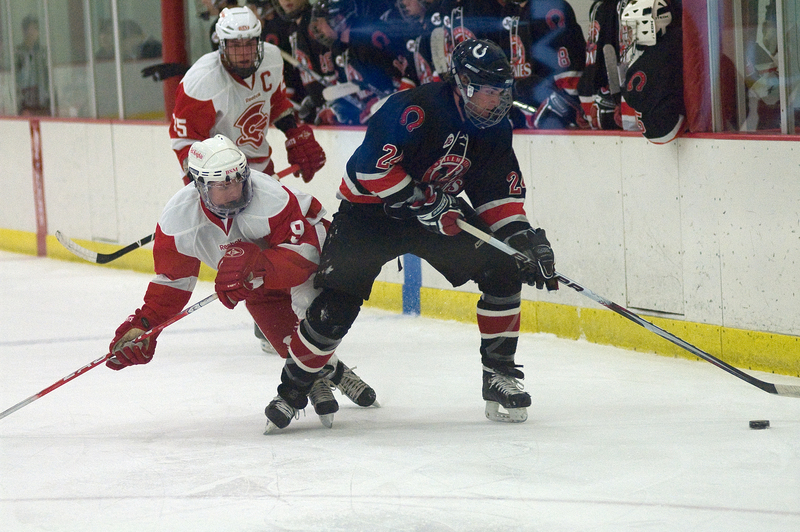 Horton, a sophomore defenseman, opened the scoring with a drive from the left point that eluded Stillwater goaltender Rick Cotter. 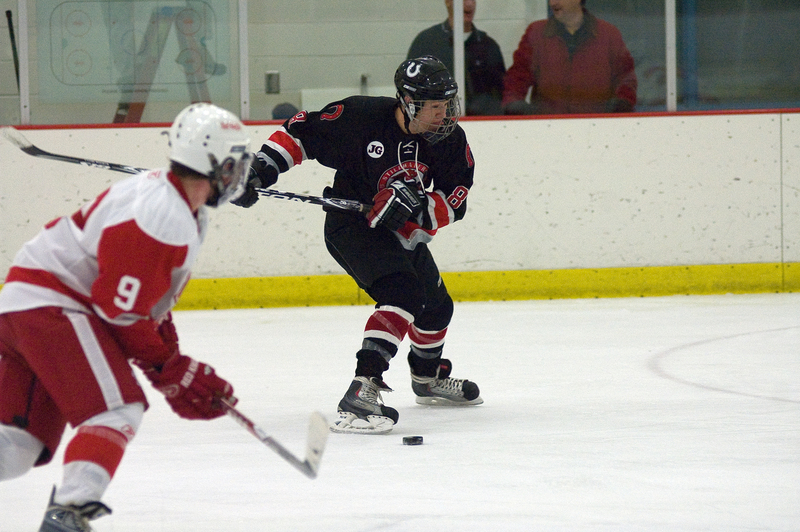 Steinhauser made it 2-0 just under five minutes later with his first of two goals. 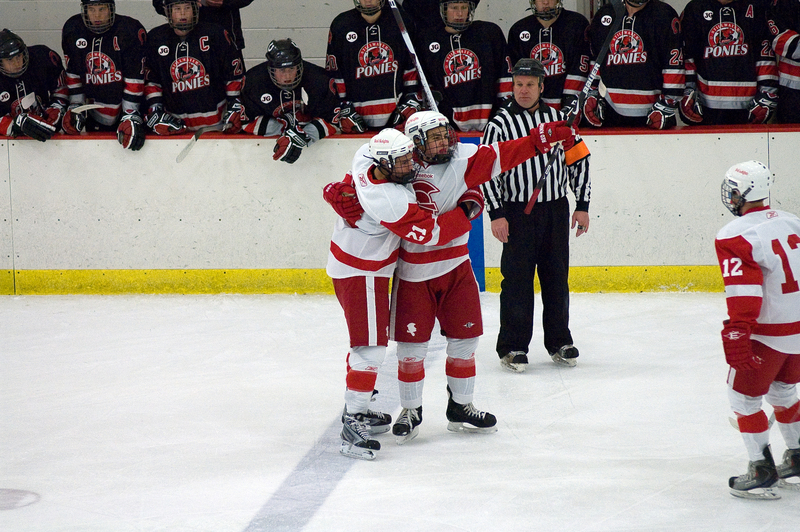 Patterson took a roughing penalty with 1:25 left in the first period and the Ponies almost instantly responded. Just five seconds into the power play, Kyle Mogren slid the puck past goaltender Jacob Meyers to apparently get Stillwater back into the game. But Besse broke the Ponies’ spirit with just five seconds remaining before the first intermission. On an offensive zone face-off, Besse suddenly found himself alone in front of the Stillwater net and patiently waited out Cotter while the clock ticked down. Finally, with the pro-Red Knights crowd yelling for him to shoot, Besse deked to his left and crossed right to tuck the puck in for a 3-1 lead. 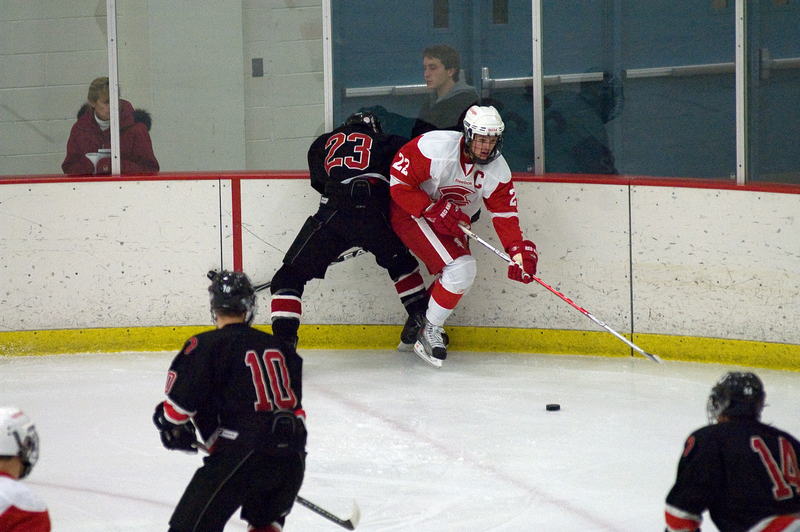 Duda and Besse scored the only two goals of the second period and Benilde was on its way to a big victory. 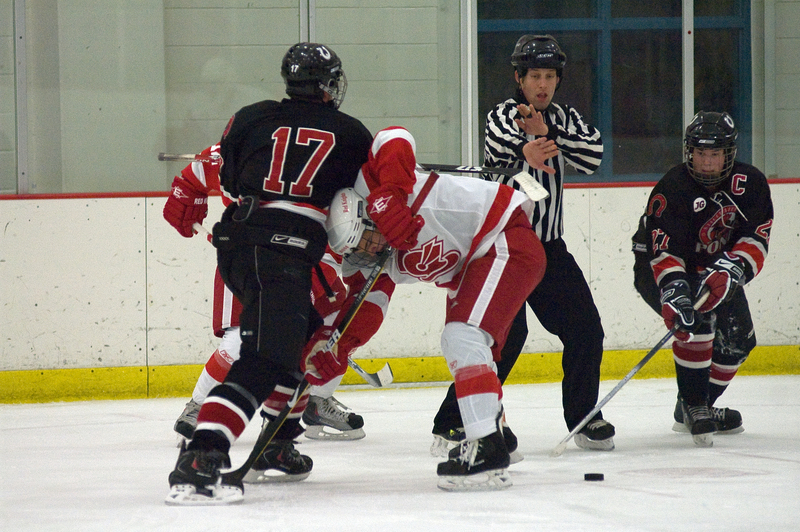 The teams traded third period goals as the game got more physical. 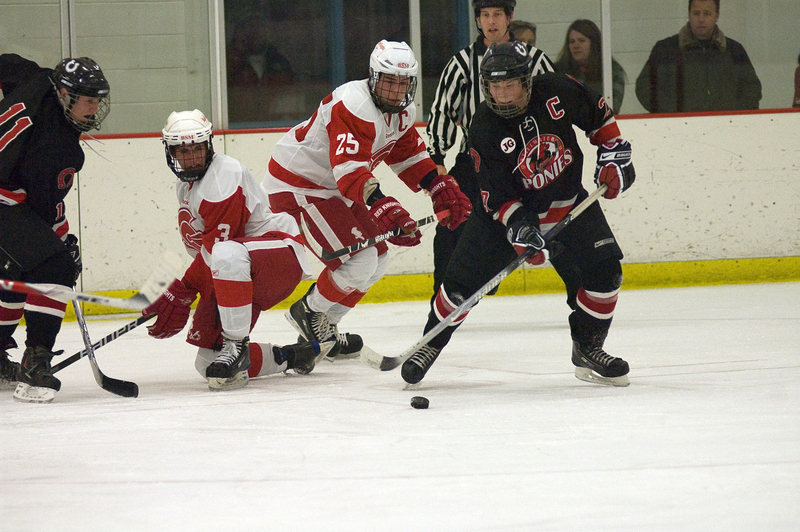 But the Red Knights kept up their offense, scoring a pair of short-handed goals from Horn and Steinhauser. Besse capped the scoring with a power play goal at 12:22, after which fans showered the ice with hats to celebrate his hat trick. 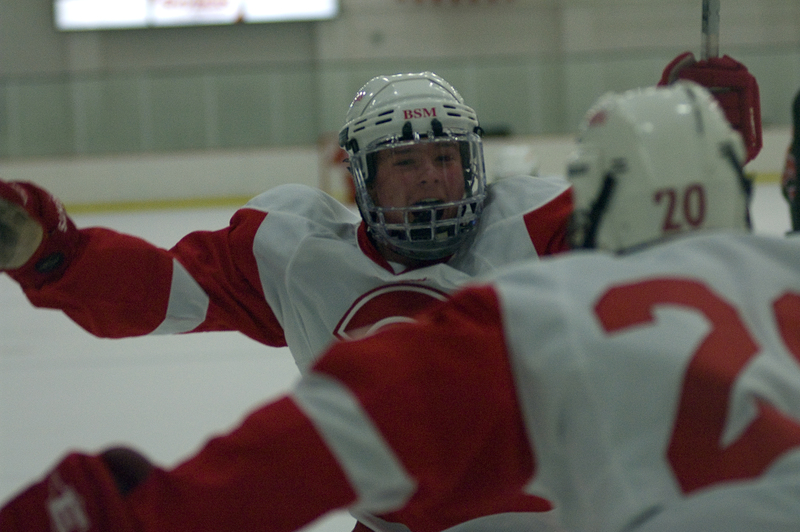 Sam Beutel and Sam Casey scored Stillwater’s two third-period goals. 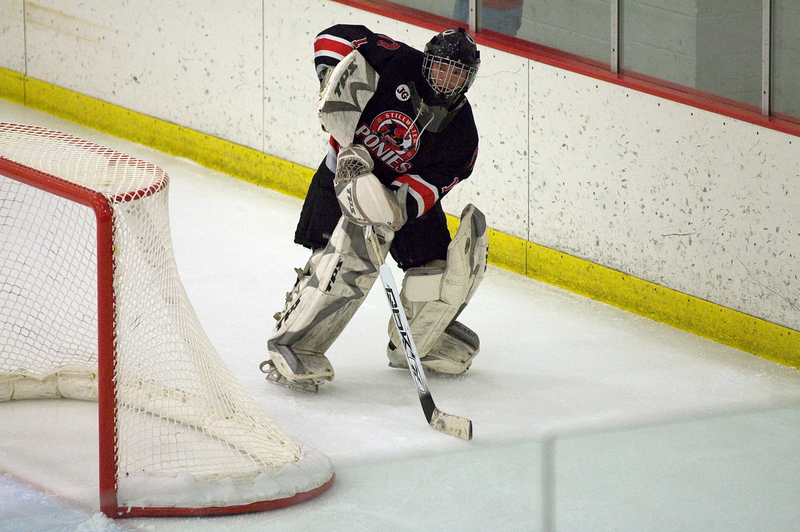 Cotter took the loss in goal, splitting time with Tristan Pennella. The two goaltenders combined for 30 saves on 39 shots. 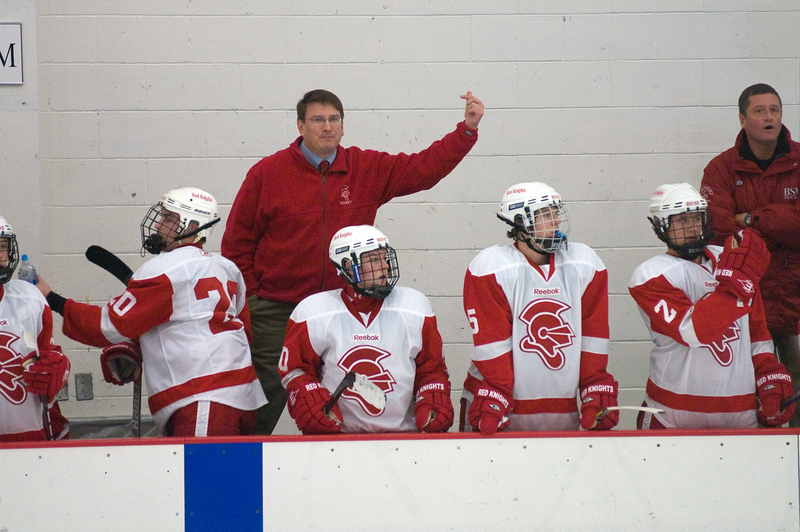 Meyers made 22 saves for the Red Knights, who improved to 2-0-0. 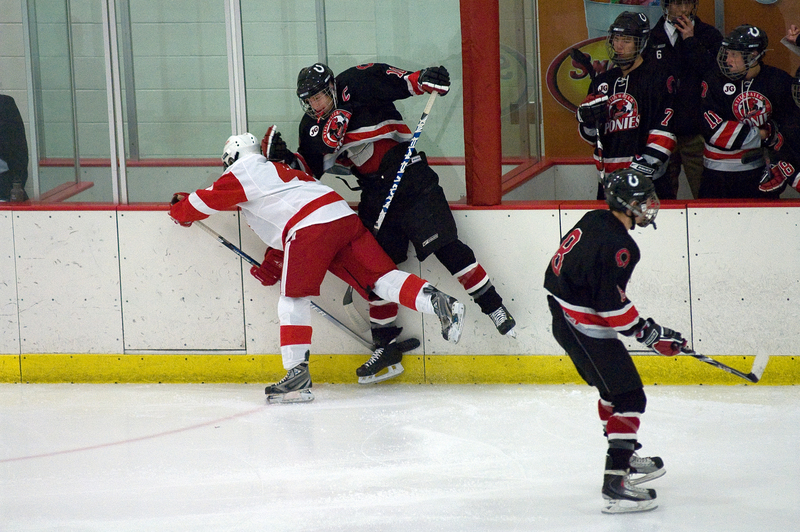 Stillwater fell to 1-1-0. 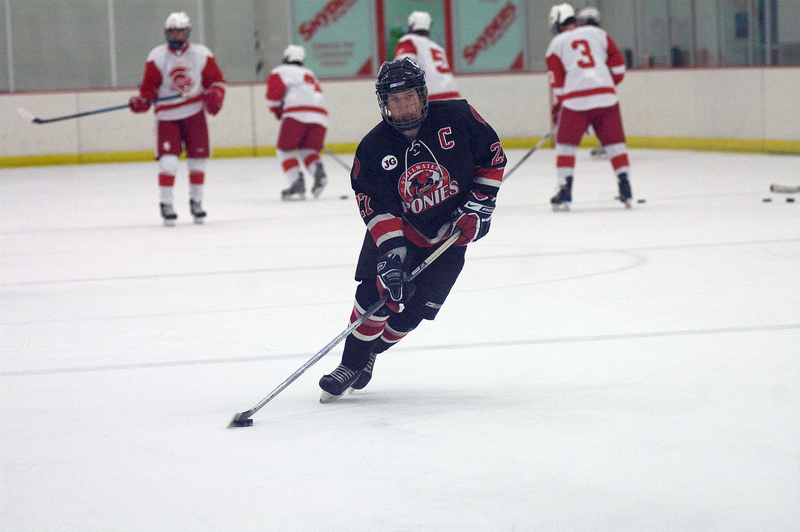 The Red Knights' freshman sensation netted his first career hat trick (and it most certainly won't be the last), tallying a goal in each period while playing on the top line with Christian Horn and Brett Patterson. 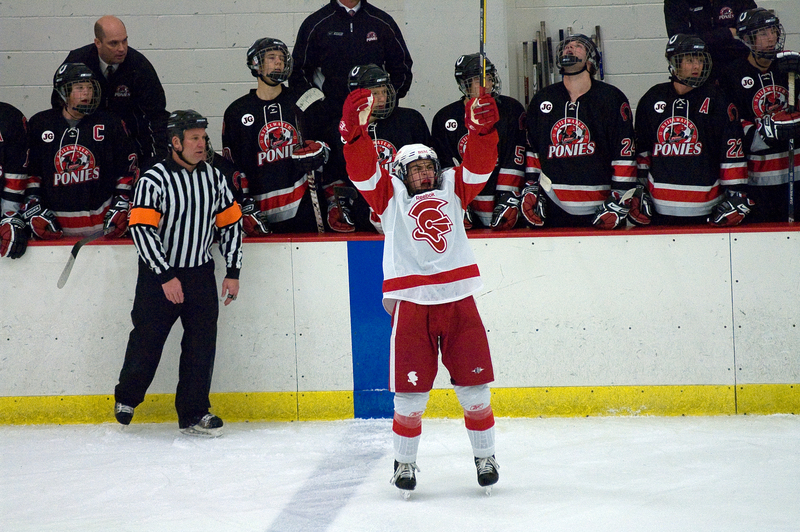 Horn posted two goals and an assist. Along with Patterson and Besse, the trio controlled puck possession in the offensive zone much of the night. They combined for 14 shots and a plus-10 rating. 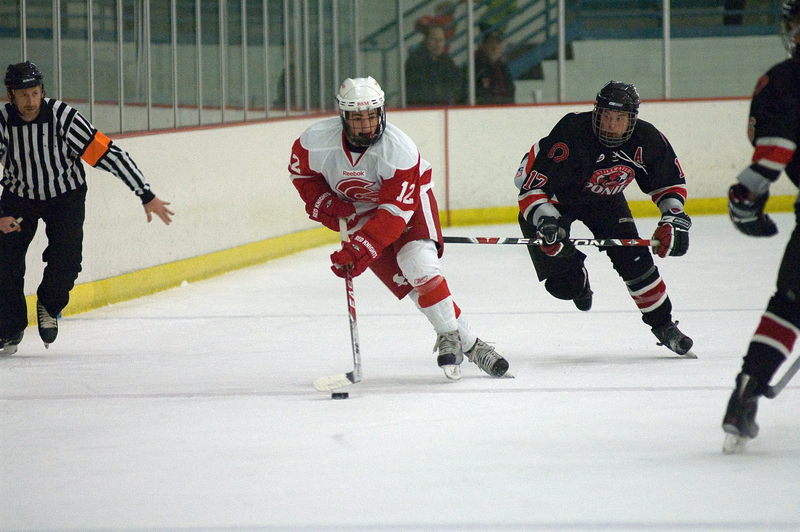 While Benilde's offensive firepower was on display all night, Daly was a key on the blue line. He finished with three assists, but also contributed a game-high plus-5 rating and blocked a pair of shots in support of goalender Jacob Meyers.